Provocative commentary on competing educational stakeholders and how their entrenched interests collide to obstruct the goal of world-class education in America. Includes teacher training and quality, curriculum design, teaching resources, Japanese education models, book reviews, practical teaching tips, more. As my regular readers know, I am writing from China these days, and have been doing so four years so far. Sometimes the blog becomes inaccessible to me, making it impossible to post regularly. In fact, starting in late September 2014, China began interfering with many Google-owned entities of which Blogspot is one. If the blog seems to go dark for a while, please know I will be back as soon as I can get in again. I am sometimes blocked for many weeks at a time. I hope to have a new post up soon if I can gain access. Thank you for your understanding and loyalty. For the last several years, probably coincident with the increase in online forums and comments, I have noticed that the general public seems quite confused as to what ad hominem really means. In many cases, someone who flings an insult is immediately accused of committing ad hominem, while ad hominem without including an insult is often not even recognized as being ad hominem. The purpose of ad hominen is to misdirect attention from the logic of the argument to the qualifications of the person making the argument. Specifically, ad homimem intends to disqualify its target. Ad hominen is a tactic of last resort when the logic of the argument seems otherwise unassailable. In fact, if someone throws ad hominem at you, they have tacitly admitted to losing the debate. Ad hominem is used against the argument of a specific person as a misdirection from the logic of the argument to the character of the person. Ad hominem is usually used when someone has no logical answer to the argument itself. Someone who uses ad hominem hopes the target will be distracted from the issue at hand, take it personally, and engage in self-defense, thereby entirely forgetting about the argument that they have already won. I saw an example of a fascinating variation of the misunderstanding of ad hominem in an online discussion about California issuing driver’s licenses to illegal immigrants. The local newspaper had headlined their story, Illegals line up for driver's licenses. Student: Ad hominem is an attack on character, rather than an attack on the argument presented. An ad hominem attack on a group is an attack on the character of members of the group. Teacher: Your definition of ad hominem is incomplete. "Ad hominem is an attack on character, rather than an attack on the argument presented" in an effort to debunk the argument as if the character of the person is relevant to the argument. Ad hominem is a LOGICAL FALLACY, usually employing personal attack on character, intelligence, status, etc Personal attacks are not necessarily ad hominem. How can I make it clear? If you are mugged, you have been physically attacked. If someone drives by and hurls a slur, you have been verbally attacked, but these are not examples of ad hominem because the attack is not in the context of making an argument. Thus many people objected to characterizing a group of human beings as "illegals," but those who committed the grievance are not actually engaging in ad hominem against the group so characterized. If a group of illegal immigrants were engaged in a discussion with others about whatever, and one of those others said,"You guys are illegals, so your argument is thereby refuted," that would be an instance of ad hominem. Insults often accompany ad hominem, but insults themselves are not necessarily ad hominem. Student: How can I make it clear? - you can't; you're wrong. Ad hominem - you attacked your opponents's character or personal traits in an attempt to undermine their argument. References to people as members of a lawbreaking class is an attack on their character. Teacher: Calling illegal immigrants "illegals" is an attack on character. It is not an attempt to undermine an argument; it is just an attack on character, like calling the guy who blew through a red light an "idiot." There is no undermining of an argument. Student: The basis of the argument was giving undocumented people California drivers licenses. Teacher: In order for ‘illegals” to be ad hominem against illegal immigrants, the illegal immigrants themselves would have to be asserting the reason why California should give them driver’s licenses. However in this case, other people who are not necessarily illegal immigrants are engaging in argumentation about the issue. Student: argument: "a set of diverging or opposite views, 2) a reason or set of reasons given with the aim of persuading others that an action or idea is right or wrong." The action is giving undocumented residents California drivers licenses, as I said. Teacher: The purpose of ad hominem is to deny someone status or qualification to engage in discussion. For example, to attempt to refute an argument by calling the proponent "a moron" is simply a way of saying that the person is too stupid to listen to. Or if a civilian gave an opinion about the military, someone might say, "How can you have an opinion if you never served in the military?" in order to disqualify the civilian’s opinion from consideration. Both of these are ad hominem, but only the first one adds an insult. An "action" regarding California drivers licenses was taken, but the action is actually irrelevant to the question under consideration: Is labeling an illegal alien "illegal" ad hominem? It was not ad hominem, but according to those who took offense, it was an insult. The pro side includes a group called The Mexican American Legal Defence and Educational Fund (MALDEF). If someone wanted to commit ad hominem against MALDEF, they would probably say, "Of course, you support them. The illegals are your own compatriots." This would be ad hominem against a group, MALDEF, but it is not an insult toward MALDEF. It is also NOT ad hominem against illegal aliens because MALDEF is making the argument, not illegal aliens. If a group of illegal aliens presented their opinion, a non-insulting ad hominem might be, "You are illegal aliens, so you have no right to give an opinion about California’s laws." Their status as illegal aliens is a statement of fact. Whether their status disqualifies them from comment is a separate issue. An insulting ad hominem would be, "You are a bunch of wetbacks, so your opinions do not count," or in the view of some, "You are a bunch of illegals, so your opinions do not count." I am finding online comments as repository of data on human nature really fascinating these days. It is interesting see that some people, like this "teacher," target their comments to the readership rather to the person they are nominally responding to. Are Teachers Fast-Food Purveyors or Professionals? I have been following an online discussion. (Scratch that, what do you call it when one of the parties constantly responds with insults). The topic is supposedly the public sector pensions of teachers. “SP” is trying to argue that teachers are overpaid for the amount of work they do. The respondent never identifies himself as such, but I would guess he probably is a teacher, so I’ll call him “Teacher.”* If “SP” accurately reflects the public perception of the work teachers do, it is no wonder there is zero respect for teachers in our society. SP: Teachers, as I pointed out, are paid a FULL year wage, for a part time job. Teacher: As I have repeatedly pointed out, teaching is far from a part-time job. But you already know that. SP: The teaching contract proves my assertion. Teachers work 37 weeks per year at a contracted 36 hour work week. Teacher: Teachers work far in excess of their contracted hours and weeks. SP: All you do is make up lies about what hours teachers work, and it is 36 hours per week. Truth can be painful for the trough feeder with entitlement mentality! Teacher: Regardless of the minimums that may be in a contract, no teacher limits themselves to the so called contract. Teachers do not work part-time. In fact, one big reason new teachers quit in the first five years is they are overwhelmed by the sheer amount of out-of-class work that is necessary. What is true that they can save child care expenses because they have to do so much of the work at home. SP: Your incompetence is breathtaking! Nobody works more than their contracted hours. The teachers union would never allow it. Teacher: Teachers do not work part-time. That is the fact. You are under some mistaken impression that the only time they work is during face-time with students? Such a misconception is prima facie ludicrous. SP: Teachers work 6 hours per school day, even if they took home 2 hours of work they would still just be at 8 hours total. They do NOT take home 2 hours of work per day though. Teachers work part time, that is a fact. Just keep making up the whoppers though, easy to shoot down. 36 hour work week, 37 week work year= part time job. Teacher: There is no way teachers can get all the work done they are responsible for during a six hour day. SP: I know many teachers working 36 hours per week Some work even less. Teachers are NOT onsite at their schools for 8 hours per day unless you include the lunch break. They teach 5 hours per day plus a prep period of an hour, prep periods are used for grading papers and so forth. Teacher (evidently losing patience): If you think that one-hour prep period is sufficient for getting all the work done, you know nothing. That one hour is a woefully insufficient amount of time. Your anecdotal "I know many teachers..." is worthless. You really need to stop talking until you have spent a year getting some real-world experience. Try subbing for a year. Even volunteering as a classroom aide would change your tune. SP: No matter what you say, teachers work only part-time. Teacher: You would be screaming your head off if teachers actually worked a 36 hour work week for 37 weeks per year. They would do nothing but babysit kids. There would be no time for preparing lessons, making materials, previewing the audio-visuals, testing labs before kids do them, grading papers, calculating report cards, keeping up on professional literature, writing tests and so much more. What do you think? Should teachers work as long as it takes to complete all those listed tasks or should teachers work work the so-called "contracted" hours and no more? SP: You said, “There would be no time for preparing lessons, making materials, previewing the audio-visuals, testing labs before kids do them, grading papers, calculating report cards, keeping up on professional literature, writing tests and so much more.” Lesson plans are prepared very infrequently, in fact you could use the same lesson plans throughout your entire career in many areas. Most school districts today have "lesson plan banks" that teachers use and share. You can also BUY lesson plans already made. Grading papers is done in the prep period. Calculating report cards should not be an issue and should also be done in the prep period. Keeping up on professional literature? That is not a job requirement and is also not mandated; it should be done on the teachers OWN time as it relates specifically to their job, it is basically optional "continuing education" required for the license. And professional development days, aka "minimum days", are given multiple times during the year at the expense of the student, so you lose that one. Writing "tests"?? Do you mean developing tests? They are part of lesson plans and curriculum, and again that is an issue that should not be repeated more than once every 2-3 years if that often. The work load is a part-time 36 hour work week and a part time 37 week work year. Those are the contracted "work loads." I guess you just lost again. Teacher: You clearly know nothing about being a teacher. Excellent teachers use off-the shelf stuff merely as a reference. You would be even more unhappy with education outcomes if teacher used the off-the-shelf stuff in the manner you seem to believe they should. Again I suggest you spend a year being a substitute teacher or even a classroom aide before you say another word about the work teachers do. Don't worry; I'll wait. SP is evidently under the misconception that repeating a falsity often enough, through some sort of mysterious alchemy, will render that falsehood true. SP is also under the impression that a teaching job is more like a fast food job than anything else in the world of work. How is it even possible to break through that wall of stubbornness against true facts? Until our society decides whether teachers are professionals or hired laborers, it will be impossible to effect any meaningful education reform. Teachers as professionals implies professional standards for entry into the profession, professional autonomy, professional judgment, professional salaries and the tenure to be free of whimsical termination. Teachers as hired laborers implies strict conformity to the contracted hours, so-called “teacher-proof” curriculum, top-down job instructions and easy firing. The strange hybrid status teachers have now is unsustainable. *I camouflaged the user names of the parties. I also cleaned up the grammar, and spelling of the comments and edited them a little bit for clarity. I read Dr. Nancy Pine's book, Educating Young Giants, with great interest. The book is about her observation of classes in China, her discussions with Chinese teachers and parents (mostly through interpreters), and the comparisons she makes to American education. She admits to being ethnocentric at the time of her first visit to China in 1989, but while she could sometimes recognize her own egocentricity, she was not able to fully overcome it. She noticed that in Chinese literature classes, teachers emphasized close reading and digging for the author's meaning. She felt that Chinese teachers denied students the opportunity to create personal meaning from the literature they read. Although her research in China centered on elementary literacy development, as a former math major (page 41), she became interested in observing elementary math classes. As everyone who has ever observed Chinese math classes has reported (see, for a few of many examples, Harold Stevenson, James Stigler, Liping Ma), she, too, witnessed superior teaching skill. I have been teaching math in China for the last several years, and I taught in Japan for nearly two decades. I speak both Japanese and Mandarin. My conversations with people from mainland China, Hong Kong and Taiwan, as well as written descriptions such as Educating Young Giants has led me to conclude that the actual education systems as well as the cultural foundations of both China and Japan are very similar. Nancy Pine came to appreciate that Chinese teachers teach mathematics, but “most U.S. teachers merely teach arithmetic” (page 45). Dr. Pine is being generous. U.S. teachers teach non-math, specifically routines, tricks and shortcuts, but call it math on the misconception that if numbers are running around, it must be math. Dr. Pine herself admitted “that even with my strong interest in math, I would not have known enough about the underlying mathematical concepts to think through the best ways to present the initial problem that would enable students to correctly solve more complex ones” (page 45). See what she is saying? She is admitting that she was great at non-math, but weak at mathematics itself. Not only that, she says she knows “that most American grade-school teachers, who teach five or more subjects, do not have the depth of knowledge to walk children through mathematical concepts to prevent misunderstandings” (page 50). She believes it is because American teachers are generalists who must teach every subject, while Chinese teachers are specialists who teach only one subject. I would like to suggest that being a generalist or a specialist has nothing to do with it. Chinese teachers could be generalists and their ability to teach math would still “far surpass ours” (page 46) because nearly all Chinese teachers, regardless of their particular specialty, acquired a profound understanding of fundamental mathematics (PUFM, a term coined by Liping Ma) beginning in the primary grades. If our own children acquired PUFM, they would also be much more effective math teachers, even as generalists. You see, regardless of professional training or subject matter courses, teachers tend to teach the way they were taught. The strident calls for teachers to take more subject matter courses is misplaced. Simply learning more and more non-math will not improve teaching ability. Okay, how about we reteach math at the university level? I tried to do exactly that, only to meet with terrible resistance. “We don't want to know why the math works,” my students complained, “Just tell us how to get the answer.” Fine, let's at least teach those students who aspire to become elementary teachers. Guess what? Most universities require all elementary teaching candidates to pass a series of courses entitled something like “math for elementary teachers.” My students complained that the classes were a waste of their time, since they “had learned all that stuff in elementary school.” Most elementary teachers, even though compelled to take a real math class, most of them for the first time in their lives, end up graduating from college without learning much math due to their resistance. They subsequently teach math the way they were taught in elementary school. The main reason that Chinese students do so well in international math tests is because they actually learn math in school. American do not. Therefore, the reasons critics cite (specially selected students, lower poverty rates, rote learning, etc) miss the point. What critics are saying is that due to circumstances beyond our control, American students can never compete with Chinese students. I call baloney. If we would actually teach math in our schools, our students could compete just fine. Next: examples of non-math teaching I encountered in a child's algebra class. After seeming to correctly solve a number of simplification problems of the form -(ax-b) or -(ax+b), a child complained she could not simplify this one: +(ax+b). “What do I do with all those plus signs?” she wailed. What did you do with the other ones? I flipped them (referring to a mat-and-tile manipulative she is using in class). Even after all that flipping, she still had no idea what was going on. As long as she flips correctly, she can get the right answer without ever understanding how the flipping was supposed to communicate the concept. (Here is another topic: how American teachers routine take great resources like manipulatives and use them ineffectively https://schoolcrossing.blogspot.com/2010/11/i-love-math-manipulativesbut.html. In another example, the child needed to solve for x by first combining +2 + ¼, easy—the answer is 2¼. But the next problem was +3 – -½. She wrote 3-½ as her answer, then complained because the problem was coming out “all weird.” I straightened that one out with her, only to have her evaluate the next problem, -2+ 2/3, as -2 2/3. Dr. Pine realized that the depth of Chinese math learning far surpassed ours. Yet she seemed unable to perceive that the digging for meaning she observed in literacy classes was precisely the same digging for meaning evident in math classes*. She lauded it in math but lamented it in literacy, saying that teachers denied Chinese children the expression of their own personal opinions. * Everywhere I wrote an asterisk I am referring to the Chinese philosophy of math education as evidenced by the textbook presentation of concepts and the implementation I and others have observed in many Chinese classrooms. HOWEVER, honesty compels me to relate that there are a number of Chinese math teachers whose delivery of math concepts is at best cursory. These teachers also assign an overwhelming amount of homework and "practice tests." These teachers have been know to "steal" time for "unimportant" subjects like art and music for more practice tests in their never-ending quest to maximize test scores regardless of understanding. This approach is absolutely murderous to the spirit and curiosity of Chinese students. Critics of alternative certification often express dismay that alternative certification could possible qualify someone who has no prior teaching experience. “I am still waiting for the "alternative certification" programs in law, medicine, surgery, and pharmacy. I hear that those fields pay more than teaching, so I think that I might try my hand at one of those. Should only take 6 weeks or so to get through the program and be proclaimed "highly qualified" and I can get right to work on heart surgery, or filling prescriptions. It is a valid criticism, but assumes that all who seek alternative certification are starting from scratch. Not so. Expert teachers moving to another state for whatever reason often have difficulty getting recertified. If you were a Department of Defense Dependents Schools (DODDS) teacher, returning from overseas may mean coming home to chronic unemployment. For example, back in the 1980s DODDS began requiring all its teachers to take National Teacher Exams (NTE) regardless of how long a teacher had been effectively teaching. But in the US, these DODDS teachers found that many states would not accept NTE scores no matter how high the teacher's percentile score. Nor would the states accept other documentation of competence like evaluation, publications, even student test scores on the Stanford 9, or anything else. Some states even told these teachers they would have to get new masters degrees because their "old" one was now out-of-date, as if a terminal degree can expire. Many older teachers began teaching before student teaching became a requirement. Some states will allow letters certifying experience to stand in for the student teaching requirement as long as the letters are not too old. A teacher may be able to acquire a "provisional" teaching credential convertible to a standard credential if the teacher gets a K-12 job within two years. The longest allowable letter of experience interval I saw was five years. Most are three years. But since schools will not hire even certified older out-of-district teachers, they certainly will not even look at you if you are not certified. They may apologize for not hiring a certified teacher due to budget, but if you are uncertified, they are happy to reject you without any apology. Two years pass and the provisional credential expires. One more year and the letters of experience are no good. Plenty of great teachers are waiting tables, filing medical charts, preparing taxes, whatever. When Are We Ever Gonna Use This? Raise your hand if you have ever heard this question, “When are we ever gonna use this?” When I was a young teacher, I tried hard to answer. I used to give my students (junior high and high school) examples of math problems from various occupational fields. 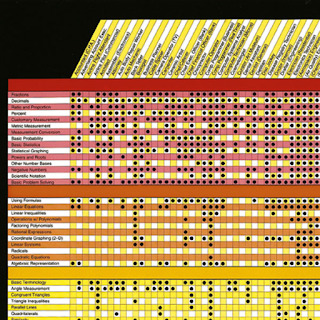 I bought a large poster that listed many occupations along the top and many mathematics topics along the side with black dots showing exactly which occupations use which topics. Years passed. Film projectors gave way to Youtube videos. Mimeograph machines gave way laser printers. Whole new field of occupations emerged. I metaphorically threw up my hands in exasperation. When the inevitable question arose, I answered that I had no idea how they were going to use this information. I had no idea how their interests would develop, or which occupations they would pursue, or what the jobs of the future would be. All I could do was teach them a little bit of what had taken thousands of years for people to discover about math. My students were not always satisfied. The question of the usefulness of any particular subject stems from the mutual internalization of both the teacher and students of a questionable, yet unexamined assumption. Thus instead of teaching real mathematics, we teaching “pseudo-mathematics,” or what I have often called non-math, and worse, we use math class to accomplish this miseducation (See https://schoolcrossing.blogspot.com/2012/11/tricks-and-shortcuts-vs-mathematics.html and others). According to Lockhart, we teach math as if we think “Paint by Number” teaches art. “Worse, the perpetuation of this “pseudo-mathematics,” this emphasis on the accurate yet mindless manipulation of symbols, creates its own culture and its own set of values….Why don't we want our children to learn to do mathematics? Is it that we don't trust them, that we think it's too hard? We seem to feel that they are capable of making arguments and coming to their own conclusions about Napoleon. Why not about triangles? Math is like playing a game. As with any game, it has rules to be sure. However, it is more fun and more elegant than all other games because it is literally limitless. Physical reality is a disaster. It’s way too complicated, and nothing is at all what it appears to be. Objects expand and contract with temperature, atoms fly on and off. In particular, nothing can truly be measured. A blade of grass has no actual length. Any measurement made in the universe is necessarily a rough approximation. It’s not bad; it’s just the nature of the place. The smallest speck is not a point, and the thinnest wire is not a line. Mathematical reality, on the other hand, is imaginary. It can be as simple and pretty as I want it to be. I get to have all those perfect things I can’t have in real life. I can never hold a circle in my hand, but I can hold one in my mind. […] The point is I get to have them both — physical reality and mathematical reality. Both are beautiful and interesting… The former is important to me because I am in it, the latter because it is in me. Mathematics offers infinite possibilities for storytelling. I tell many stories as I teach math. My students are positively enchanted and remember them forever. One of my favorites is the kimono story. 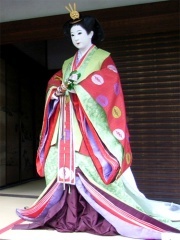 I tell my students how in old Japan, servants helped geisha to put on the multiple layers of kimono. Each layer has to arranged and offset just so in order to reveal the colors of each layer. I tell them we are going to start with a geisha like 1/3. First we put on the 2/2 layer. 1/3 x 2/2 = 2/6. Notice that the geisha looks a little different, but underneath it is the same geisha. How about another layer, maybe 3/3. Okay 2/6 x 3/3 = 6/18. How about another 2/2 layer. 6/18 x 2/2 = 12/36. We can take off the layers one-by-one as well. This is called “simplifying a fraction.” Simplifying a fraction is simply a process of finding out which geisha is at the bottom of all those layers. If we are in a hurry, we can remove all the layers at once. How would we do that? In the case of our geisha, dividing by 12/12. The students love it. The most elegant math story is the proof. A proof is simply a story. The characters are the elements of the problem, and the plot is up to you. The goal, as in any literary fiction, is to write a story that is compelling as a narrative. In the case of mathematics, this means that the plot not only has to make logical sense but also be simple and elegant. No one likes a meandering, complicated quagmire of a proof. We want to follow along rationally to be sure, but we also want to be charmed and swept off our feet aesthetically. A proof should be lovely as well as logical. Should teachers teach to the test? Some say of course we should, in order to give students the best chance for achieve their highest potential score. Some have even made teaching to the test a lucrative business. Schools are sacrificing more and more instructional time to test prep. Others say that teaching to the test games the outcome in favor of some students without actually reflecting the acquisition of real knowledge or achievement. Who is correct? First, we must be careful to distinguish between tests teachers write covering material they themselves taught, and standardized tests. Standardized test are not written by the teacher who is teaching the material, and indeed, it is considered cheating if teachers see the questions ahead of time. Teacher-written tests cover a specific subset of content. The purpose of the test is to evaluate the students’ learning of that specific knowledge. Theoretically, if everyone in the class masters the material, everyone can potentially score 100%. Practically, teachers try to have a mix of harder and easier questions in order to differentiate levels of mastery. However, there should not be any questions outside the subset domain. Standardized tests are very different. Test designers try to ensure that half the students will score above the target median and half below. From the students’ point of view, they perceive right away that it feels like they do not know half the questions. The realization often makes them feel inadequate and creates much of the test anxiety surrounding standardized test. I have found that explaining the difference between the test I write and standardized tests relieves much of the anxiety. There is, of course, no point in explaining jargon like normative evaluation, median, etc. It is sufficient to simply say that the people who wrote the bubble test wrote it for lots and lots of students who have been taught by lots and lots of teachers. The writers really have no idea what I taught or how I taught it. So the writers write lots of question that they expect no one will know the answer. In fact, they write the test expecting that students will miss fully half the questions. I reassure them that it is perfectly normal to feel as if they are probably missing a lot of questions. Go ahead and guess anyway. I tell them that the test designers include questions from lower grades in the test and questions from higher grades. The test designers know which questions are which, but of course the students do not know. I tell them if they feel like they do not know a question, it is probably from a higher grade and not to worry about it. The test designers look at the answer sheet and can tell if the students correctly answered the questions from their own grade level. If they do, they will get at least 50. I tell them this does not mean 50 points, nor does it mean 50%. I tell them it is a different kind of scoring system because it is not a test that their own teacher (like me) wrote. With high school students, I discuss a little more statistics and the idea of percentiles. This kind of explanation usually satisfies students, removes perplexity and frustration, and helps them do their best. If the teacher’s curricular philosophy and design is strong and the teacher is a skilled teacher, then there is no need to worry about the standardized tests. Simply teach, and the standardized test will take care of itself. If the curriculum is weak, teachers will feel a strong need to teach directly to the test. However, by all means, teach to your own tests. Can You Teach the Bible in Public Schools? The short answer is yes, you can and should teach the Bible in public schools. The long answer is more nuanced. There are three subjects that benefit from the inclusion of the Bible: English, Social Studies, Political Science, Western Law, Art, Music and yes, even Science. We expect students to recognize and understand literary allusions. The vast majority of literary allusions come from four sources: the Bible, Shakespeare (who often alludes to the Bible), Greek mythology and popular culture. There is no good reason to deny students understanding of certain literary allusions, merely because they come from the Bible. The Bible is also a literary classic in its own right. Belief is not a prerequisite to an intellectually honest presentation of the Bible as literature. Avoiding the Bible also leads to miseducation, such as the case of a fifth grade teacher who defended reading The Lion, the Witch and the Wardrobe by C. S. Lewis, by saying she intended to read it as a fairy tale. C. S. Lewis intended the story to be Biblical allegory, not a fairy tale. To teach otherwise is educational malpractice. Either the teacher should teach literature such as this honestly, or avoid the book entirely. The middle ground simply will not do. History education prefers primary sources whenever available. The Old Testament is the major primary source for the ancient history of the Jewish people. The history of the church had a huge impact on the history of Europe over the last 2000 years, and an understanding of the Bible informs our understanding of European history. The Boers drew their rationale from the Bible (although I would argue that deliberately or not, the Boers improperly applied the Bible to their situation). In fact, an understanding of the Bible is essential to an understanding of the motivations behind many historical events. Our public discourse constantly refers to the Bible, and yet most of the people who think they are quoting the Bible (both Christians and non-Christians alike) have near zero understanding of the Bible context itself or the Bronze Age time when most of it was written. Christians especially have a weak understanding of what a “literal” interpretation means. When I was much younger, I met a man who had been an Air Force pilot during WWII. After the war, he went to Papua New Guinea or Irian Java (I forget which) to be a missionary. The island people had a noun which meant airplane. Literally, the word meant “a bird with the skin of a machete.” We would be foolish to think that the island people really thought the airplane was a bird, yet Biblical “literalists” make this type of mistake all the time. Another example comes from Chinese. Their word for computer means “electric brain,” but clearly the word is not figurative, spiritual or symbolic. It is simply the word for computer. In English, we still say the sun rises and sets, but no one supposes that we literally mean the sun moves up and down. Many people who say they believe in taking the Bible literally fail to distinguish these types of expressions, leading to some of the ridiculous arguments we hear everyday. So what are young people to think when they hear biblical passages taken out of context to both support and refute gay rights, or the Iraq war, or any highly charged issue? They must not be afraid to question and challenge biblically based sound bites. They must have the courage and the foundational knowledge to understand for themselves the source and context of biblical passages. Our reluctance to teach the Bible perpetuates its mysteriousness, which has grave consequences in our intellectual lives and in the wider world in which we live. Anyone who study art or music appreciation will not get very far before they run into cultural works illustrating, or inspired by the Bible. If we want to understand the cultural work, we need to understand the source material. ... the Bible’s influence spreads beyond the literary realm into the artistic and the cultural. Any student of art or music will deal extensively with religious material. Moreover, biblical allusions in culture persist into the 21st century: in movie titles, song lyrics, newspaper headlines, billboards, and so forth—even television’s “The Simpsons” draws extensively from the Bible. In short, biblical knowledge enriches our understanding of both high art and popular culture. The acrimonious debate between “creationists” and “evolutionists” would evaporate if both camps actually understood what the Bible says. It is a sensitive endeavor, to be sure. But we first must recognize the value of undertaking that task. The Bible is a remarkable document, parts of which can stand with Plato in their philosophical depth, with Tolstoy in their political complexities, and with Shakespeare in their poetic beauty. The religious sphere does not have exclusive ownership over those important words. We should give our young people the tools to understand the Bible, both for their own enlightenment and to better inform their decisionmaking as citizens. Get Notice of Posts, Special Reports, Reviews, Etc. Thank You. A Little Affirmation Goes a Long Way. Please note: Donations are not tax-deductible. Thank you. From time to time, I refer to educational supplies, manipulatives or other resources. The provision of links to vendors is for your convenience. The links do not necessarily imply an affiliate relationship with School Crossing. School Crossing makes no warranties of any kind in regard to the vendors listed. To comply with the recent FTC ruling, I have created a comprehensive (I hope) FTC disclosure statement. This blog focuses on discussions of educational policy, reform, and practical consideration of teachers. Some of its features include lesson plans, special reports and reviews of publications and products. School Crossing derives only the most nominal little income from ads, reviews, or commissions. The publications and products I review come from various sources. I may have purchased, or borrowed from a friend or the library, or otherwise have free access. Sometimes my reviews are based on demos the company provides online. Sometimes publishers send me books hoping I will adopt the book for classes I teach. Sometimes they just send me books out of the clear blue. Same with products. If I review something sent for the express purpose of a review, I will certainly tell you. I will tell you if I have been paid for a review. Note to publishers, purveyors and vendors, if you pay me for a review, do not expect that your payment will obligate me to write a positive review. My readers trust me to deliver an honest professional opinion untainted by crass commercialism. (But if you send me chocolate...no, just kidding). I am NOT an affiliate marketer. I do not desire to be an affiliate marketer. However, if I believe strongly enough in a publication or product, I will provide a link in the “Cited Resources” section at the bottom of the page. There is an Amazon “store” also at the bottom of the page. If you click thorough to Amazon from the Amazon store, and make a purchase, I will receive a nominal commission. Amazon will also credit School Crossing for any purchases you make of unlinked items as long as you started your Amazon shopping at School Crossing. That's one easy way you can support School Crossing. You have my sincere gratitude. Links in “Cited Resources” may or may not be affiliate links; the vast majority are not. Links within a post, whether front-paged or archived, will not benefit the site monetarily unless the link is also found in the “Cited Resources” section or within the Amazon “store,” both found at the bottom of the page. There are some third party ads on the page. I do not personally endorse any product or service offered in third party ads. Your email addresses are completely confidential. I know I hate it when somebody (including non-profits and charities) sells or discloses my email. I will never pass on your email address to any one. I can only hope I have covered all the bases. The new FTC ruling is simply too vague and all-encompassing to ever be sure. If you have any questions or concerns, please drop me an email.